Black out curtains were one of those things that I was just too overwhelmed to think about pre-baby. Like breast pumps. Both I just felt the need to save for later – when I really wanted to drop money on them. The pump has been purchased and I am so glad I bought one. The black out curtains – it’s too early to tell. I REALLY REALLY REALLY like white curtains. I like light, bright rooms. I hate darkness or anything that inhibits natural light. So I’m still not sure why I bought the black out curtains except it was probably in a desperate moment when Maze wouldn’t nap! The other reason I decided to get them was because with the position of our bed, I needed 63” curtains. The longer ones were hard to open and close and got stuck behind the bed. I considered getting custom curtains made on Etsy. SO many cute patterns. But also, mucho $$. And harder to coordinate. I wasn’t sure about patterns either. We have a lot going on already. After reading rave reviews on Amazon of this simple pair with an unbeatable price, I hit One Click Order and they came two days later. I ordered grey, which actually matches the crib perfectly. 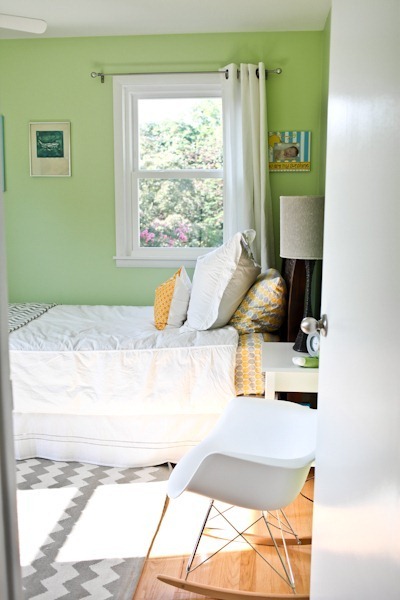 They sort of do add a bit more formality to the room, but the room is less cheerful without the white. The new curtains juuuust touch the bed, so they are still a wee bit long, but still an improvement. So do they work? Sort of. I am not sure I’d give these the top review that other Amazonians did, but they definitely darken the room a lot more than the white ones. So in conclusion, I still hate black out curtains. But I sure hope we get more naptime in! i don’t have a baby, but had some issues with my curtains not blocking out the AM sun and picked up some white roller shades from home depot that went inside the window pane. i think they were considered temporary, and they had an adhesive stick to attach to the window, which was nice b/c it didn’t require holes. anywho, i could still use my existing curtains that i loved since the shades just went right inside the window and could fold right up to next-to-nothing when not in use. probably not worth it since you bought these, but something to keep in mind! they were super cheap too. 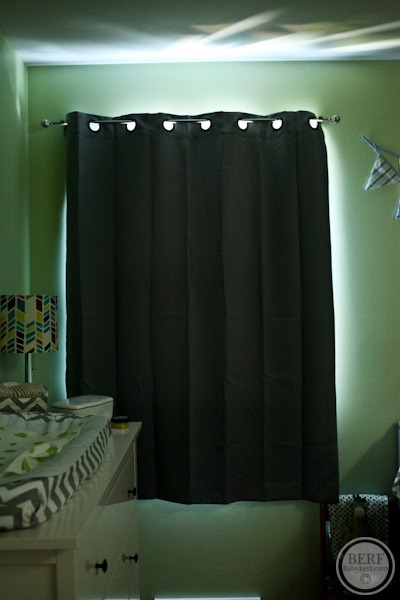 Not these exact ones (They were already there when we bought the house) but it’s the best of both worlds since you can have the pretty sheer white curtains but also a black out option. They work great. Since you’ve already spent the money, it may be a moot point… However, I got black out blinds for my little one’s room. I, too, prefer light and airy rooms and didn’t want to sacrifice aesthetics for function and these were the perfect compromise! The mount inside the windowsill and can be raised during the day, therefore becoming barely noticeable. At night or nap time, I lower them and close my white curtains (thus providing a double barrier) and the light that does sneak in is insignificant. I found them at Home Depot and they were also a fraction of the cost that I saw online! Just an idea if you decide you’d rather go back to the white! I agree with the blinds. My little one is SO light sensitive. We have had regular curtains, BO curtains, and finally the BO blinds. So worth it. If Mazen ends up needing more darkness, I recommend these from Lowes (they cut them to size right there). About $70? Love them! For black out curtains to be effective, you really need 2 panels per window and they need to be hung much higher and wider. Maybe there’s enough of a change between the white, see-through curtains and these that it makes a difference though. 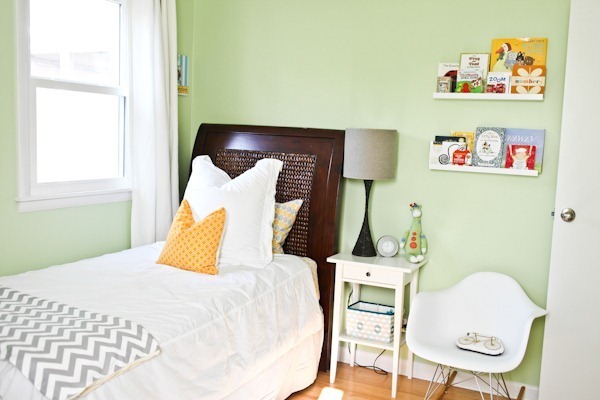 Another option is to keep the regular curtains and go with black out blinds (expensive too, but they definitely block off more light than those)–I had those growing up and I loved them, but it certainly made it harder to wake up in the morning, haha! I’m really curious if a darker room makes babies to take longer naps. Please keep us updated. Out nursery is also kind of bright during the day and I was wondering if I should get a blackout curtain as well. I can chime in that with my 3 kids, I noticed a definite relationship with a darker room and longer naps. Maybe not so much now, like when Maze is so young, but about 6ish months when babies want to be up and playing when it is light in their room-for.sure. We used room darkening shades and between them and the curtains, it’s perfect. Loved that the shades were cheaper and custom sized per window so we could spend more money on the fabric to make the curtains. My 5 month old is still a bad napper though :). If you had extended the panel farther above the window and wider on the sides it would have been more of a true blackout. 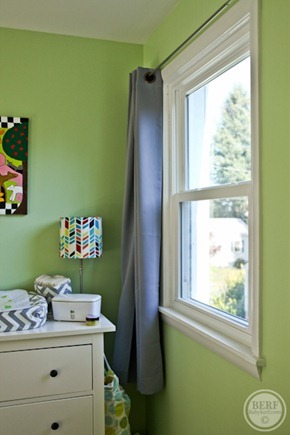 With Grommet’s right above the window, it’s always going to let light in. Black out curtains and LOUD white noise were what helped us conquer nap time! Hope it helps! I agree that hanging them higher and wider would help for true black-out quality. And in the future, Maze will sleep longer at night. My daughter (18-months-old) sleeps 12 hours and has since she was 5-months-old (7:30 pm to 7:30 am) so the black-out curtains are really necessary in the summer when the sun is not down yet. You’ll get more use out of them beyond just naps! We have black out blinds that are WHITE, they are like the cellular blinds but have a black out lining and than for my two girls rooms we just added curtains for decor. The genius thing about blinds is you can pull the ALL the way up. You can still add curtains for privacy/decor. 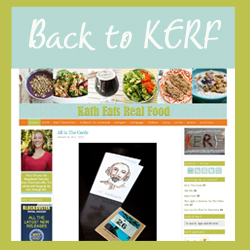 Ps-I LOVE your blog and have read it for so long and love the inspiration. I just have never commented because I am chicken! You should consider getting a blackout rod. They wrap around the side of the window so you don’t have a big gap for light. I’m sure in time they will help. I think they look really nice in the room. I’m just the opposite and need a dark room to sleep. We have wood blinds and then curtains which really darken the room and keep the light from shining around the curtains. I have tried over the years all types of curtains and really, I have just learned, aesthetically, to try to embrace the sun b/c any blackout style is usually atrociously ugly AND on top of that, it never does a great job of doing said job of blacking out. Decent, but not great. I know when you HAVE to sleep in the middle of the day or get a baby to sleep, any help is appreciated! Another option is plantation shutters on the window (great at blocking light). They are white and would look fabulous with the white curtains. I keep my curtains in the kids’ rooms in the same “open” position all the time & just shut the shutters. Easy & clean. Also, I have some fabric roller shades with the black out liner other windows. You can purchase them at a reasonable price from Budget Blinds (franchise here in NC). They are custom and installed. Love! If you don’t love the blackout curtains- return them. So many beautiful options out there! Good luck.. I have those exact curtains (also in gray) and love them! It’s so hard to forgo fashion for function sometimes, right? I think the gray curtains looks nice, especially since the windows are framed nicely in white. Hope they help your little one sleep a bit better! I usually prefer the black out blinds with white curtains over top versus just curtains. I do agree with the others though, if you hang them taller and use two panels, I think it would truly black out all of the light. The grommet holes are letting in lots of light because they are hung too low. I have custom made black out curtains and blinds on the 3 windows in my daughter’s room. They definitely help although some babies just aren’t good sleepers. Mine just turned 2 and has never slep for 12 hours at night like other people are saying! She does take one good nap daily though and I think the curtains are helpful especially since there are 3 windows in her nursery. They will help!! Maybe around 3 months, my son became a lot more aware of his surroundings and les likely to just fall asleep anywhere. That’s when we got blackout shades, started with white noise and a bedtime/nap time routine that all helped a ton! 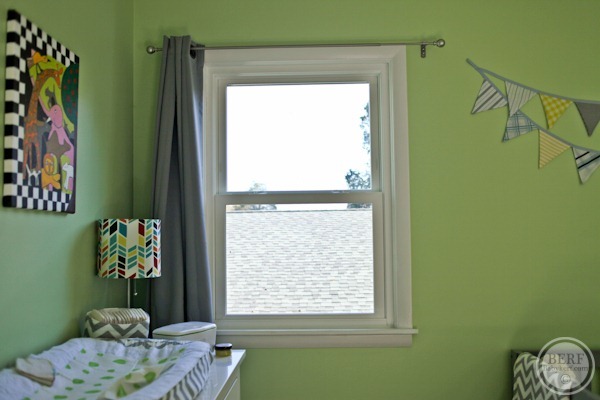 I have a 5 month old and we cannot live without blackout curtains – it was the best piece of advice a mom friend of mine gave me. Our baby has been sleeping in his room for naps and nighttime since 5 weeks and they help so much. He’s a great sleeper – he normally takes 2 or 3 naps a day that range from 2-3 hours and sleeps 12 to 13 hours every night, straight through. He’s always been a really good sleeper (this pattern started around 7 weeks and he has kept it up). I really think the blackout curtains make all the difference (we also use a red light bulb in his lamp as a night light). 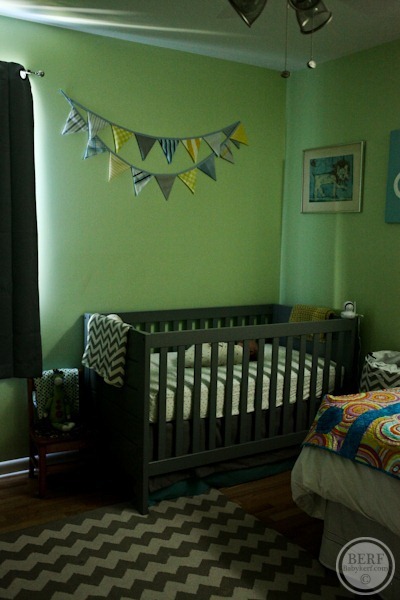 I would leave them and go with function over looks – the grey does match with the rest of your nursery decor! White curtains are just not practical in a nursery that supposed to be for sleeping! And I agree with the other posters – hang them higher and wider to block out more of the sun. Black out blinds or, if your curtains are flush against the window which yours don’t seem to be curtain linings, are probably more effective and then you get to keep the nicer white curtains and get white blinds lined with black out fabric that actually touches the window frame and so provides a darker result. I.e. black out window coverings don’t need to not be white. I work night so I sleep during the day and have done so for 6 years, so that is how long I have been on the hunt for the perfect blackout shades. They dont exist 🙁 I have resorted to a sleep mask. I am amazed the ones you bought off Amazon have such high reviews, the holes at the top let in an enormous amount of light! The ones I have are similar to your Amazon ones but no holes at the top, and longer and wider. I think the secret is to blocking the light out on the corners, which additional fabric would help you do. I used to work in a shop that made custom ones. I think that might be the best way to get ones that actually work well. Most places that do custom drapery can do them for you but you need to make sure they are going to make them fully flush to the window. I know that you REALLY REALLY REALLY like white curtains, but it is much more important that your little one REALLY REALLY REALLY gets some sleep! Blackout curtains are a godsend! That is why I got them!!! I just bought white panels (they look identical to the white with grommets in your first pic) and sewed blackout liner from Hobby Lobby onto the back. I’m a beginner but it was just sewing straight lines. White blackout curtains…problem solved! I’ve definitely noticed a difference at bedtime since it’s still so light outside. We’re currently away from home and baby’s bedroom has no curtains so it’s super bright in there. Bedtime took about 20mins longer than usual! Agree with you that the white is cuter, but at least the grey matches! If you do decide to go back to white you can buy blackout material that is super easy to work with (they sell it at JoAnns if you have one nearby), you wouldn’t really need to hem it if you didn’t want to since it doesn’t fray. It’s cheap, too! What has darkness got to do with a baby sleeping? Even if the blackout curtains don’t do much now with how young your son is, it will be helpful when he’s a bit older. When you start putting him to bed as a toddler before the sun is fully set in the summer or for a nap during a sunny day, it will make the going to sleep routine so much easier. We have similar style curtains, but not blackout style, that are a light beige color. I actually found at Meijer a liner to go behind them that have little hooks that hook into your curtain. They work great and we can still keep our light colored curtains. But, just a little tip. Lift the end of your curtain rod on the side that you normally push the curtains to, and slip the first grommet over the mounting bracket for the rod. This way, the curtain will extend further and you can still open them up. We did that and it makes a world of difference! 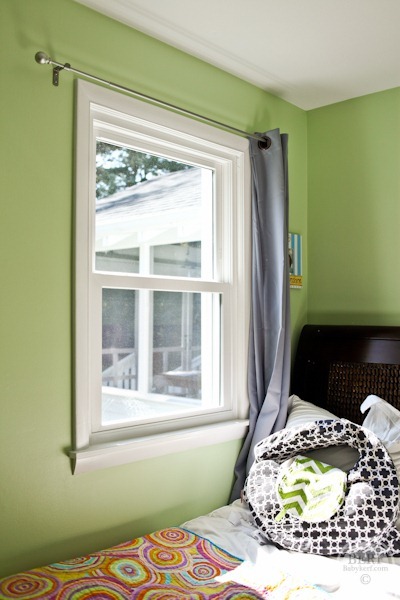 I also love natural light but after putting them in my baby’s room, I added them to our room, and the guest room! I feel a little goth with the darkness but I never know where someone is going to end up napping and honestly, we can sleep in on days our baby lets us. Best price I have found was the eclipse brand at walmart. I think they are $8/panel and don’t look awful. We have those curtains (in beige) in our twin girls’ room (they are now 5). They are so great! I may get some for our room some day too. One of our girls is particularly bothered by light when she sleeps (enough that we put a piece of black tape over the LED in the smoke detector in their room because she complained about it) Happy sleeping kid(s) = happy parents! This week I received my insurance policy summary for the upcoming year. Only changes were to women’s healthcare/needs. They will now be PAYING for breast pumps! Why didn’t I have that 16 years ago? 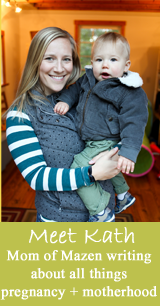 So you moms may want to check your health insurance policies. Kath, you need to have blinds or shades under the black out curtains for the full “darkness” effect. We really noticed an improvement with our baby’s sleep when we got blackout curtains. But, they were UGLY! So, we took the old white ones, and sewed them at the top, to the blackout ones. So, you end up seeing only the white on the front, but you actually have a doubly thick curtain, with the blackout one behind. Functional and pretty! Previous post: Do They Look Alike?